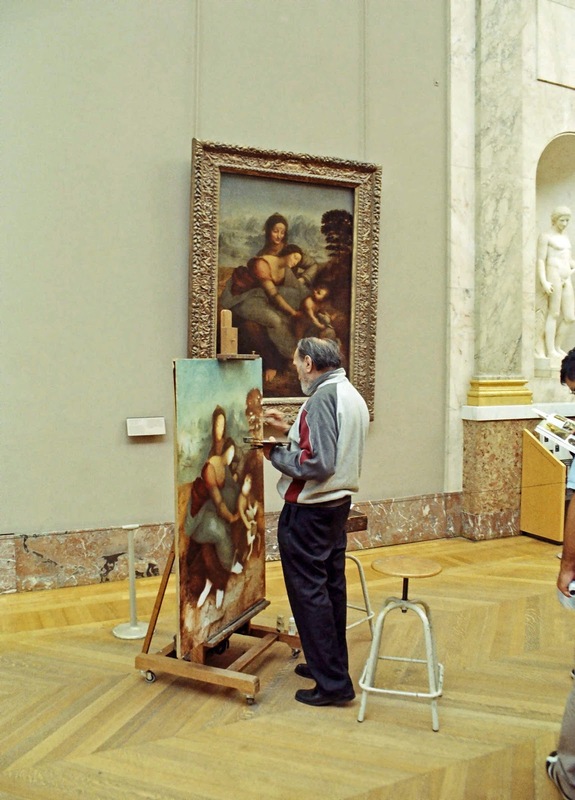 This is a photograph of an artist copying a painting at the Louvre Museum in Paris. The photograph shows the artist painting on a wooden easel on a trolley. He seems to be a serious artist, although we never asked him what he planned to do with the painting, whether it was for personal use or whether this was his job: copying the originals and selling them.